Why is Paul Rudolph—like much of Brutalism—so unloved by officialdom? His Orange County Government in Goshen, New York has been under threat of demolition by local government for several years. 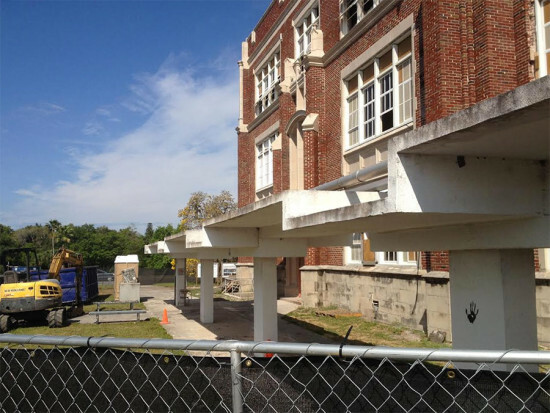 Now an elegant canopy the architect designed and built in 196o for Sarasota High School in Florida may also end up in a local landfill. Rudolph designed the elongated covering to connect the School with a new addition he designed behind it’s main brick building. 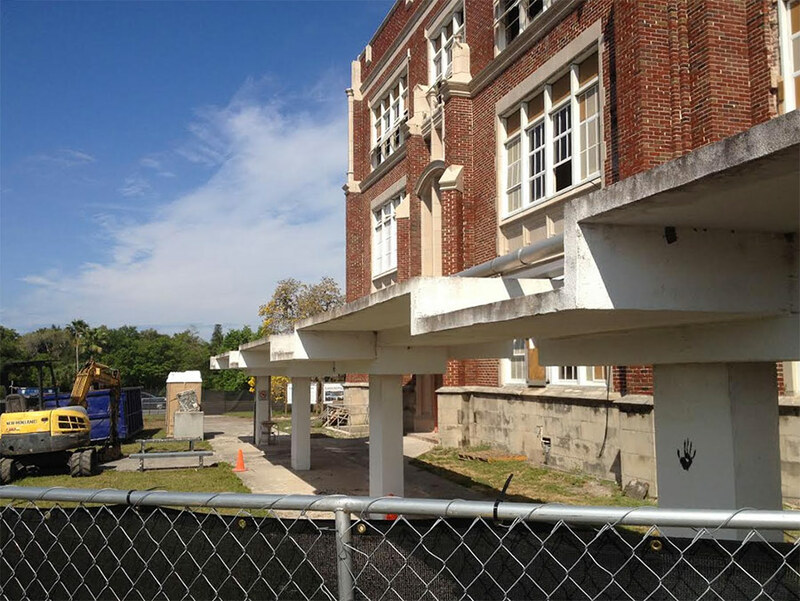 The addition is undergoing a thorough renovation and the main building is being taken over by the Ringling College of Art & Design to become a midtown exhibition space. But now several groups from Sarasota Architectural Foundation and Docomomo are asking the Ringling to hold off on the demolition. They are also asking the public to contact Larry Thompson (941-359-7601 or 941-365-7603), president of The Ringling College of Art & Design, and ask him to save the Rudolph canopies and incorporate them into the permanent collection of the new museum.